Last fall, the Arizona Republic ran a huge expose of a strange problem in the city. The city owns 1,400 lots of property, some 2.3 square miles in total, for no apparent reason. They are expensive to maintain, so many have become eyesores and have begun to drag down property values. Initially, city spokesmen denied the scope of the problem, claiming that there were only 50 or so lots. As it turns out, the city just didn’t know. After reviewing the issue (it took nearly a year), the city admitted that the scale of the problem is large. At least 656 properties are not being used at all, but the review of 5,000 properties isn’t finished. The problem was that the city had just lost track. The new plan: sell them. The city gets revenue, avoids blame for dilapidated land, developers love it, and citizens cheer. There is absolutely no loss to anyone here. As it turns out, there is no great advantage to any interest group within government to own more than it can use. Cities have everything to win and nothing to lose by turning over as much land as possible to private developers. Something similar is happening in Chicago. Mayor Rahm Emanuel has announced the city’s plan to sell at least 1,000 lots of city-owned land for $1 each. There are stipulations. Buyers have to own property on the same block, be current on property taxes, and be in good financial standing. Still, it’s a step, and no one can think of a reason it shouldn’t happen. It’s happening in Atlanta on a case by case basis, but each experiment has been crazy successful. Ironworks West Midtown went from blighted to trendy. Ponce City Market was a falling down mess to become one of the most expensive commercial spaces in the city. Meanwhile, Atlantic Station goes from strength to strength, with its mixed-use space, private streets, private security, and burgeoning retail shops (I’ve written about how this private community available to all has innovated in security services). You see a similar dynamic at work with the wild competition between cities to win the award to become Amazon’s second headquarters, with a $5 billion in infrastructure investment and 50,000 high-paying jobs. Cities have everything to win and nothing to lose by turning over as much land (and services and infrastructure development) as possible to private developers, cutting back the range of public-sector responsibilities and creating a new source of tax revenue. The trend is good news all around. This whole tend once went by the name privatization, but the meaning of that term has settled into something different than it was in the 1980s. It now generally refers to tax-funded contracts that are awarded to private companies for monopolized services. You could say it is a corruption of the original idea that was all about de-socialization entirely. 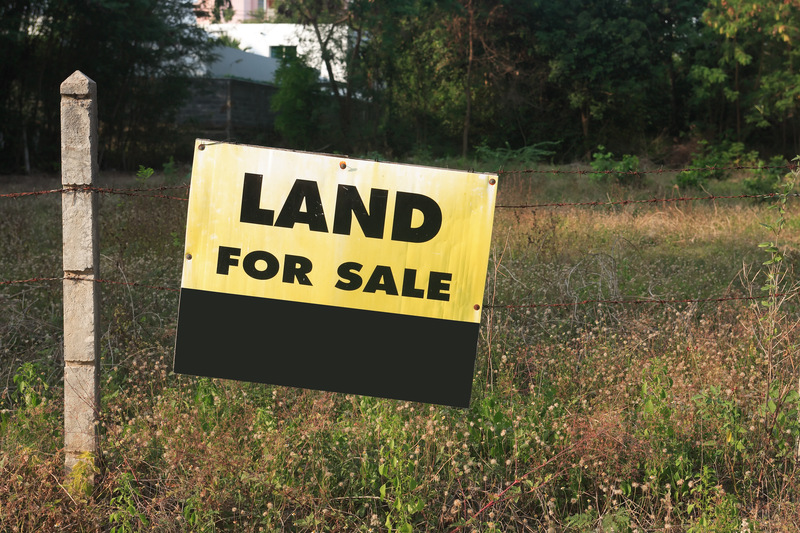 The new trend of just selling off land and infrastructure to the free market doesn’t really have a name, and perhaps that is merciful. It’s all taking place without a great deal of fanfare. The enthusiasm for imperious government impositions at the level of cities and states has waned dramatically. Of course, none of this happens without some degree of classic rent-seeking behavior. Buyers are often given special tax treatment and access to preferred city financing packages. Insiders do better at this business than outsiders. Sweetheart deals are common here, which is inevitable given that we are talking about government work. Still, the trend is exciting because it completely flips what most intellectuals a few decades ago, as far back as 100 years, believed was the inexorable drive of history: government would forever do more, own more, control more. And that was before “urban renewal,” public housing, and centrally planned zoning schemes created urban disasters from sea to shining sea. In 2017, the enthusiasm for imperious government impositions at the level of cities and states has waned dramatically. Governments are out of money. More importantly, they are out of ideas. All the most exciting innovations of our time come from the private sector and the brilliant process of market competition. With stretched budgets and a dearth of new ideas, government has nothing to lose by just selling assets lot by lot. It’s a lot easier than trying to squeeze more blood from the turnip by raising taxes. On my first trip to Brazil, I was struck by a fully private community in the heart of Sao Paulo. It had homes, shops, tennis courts, soccer fields, gyms, bars, and so on, a thriving little metropolis that lived behind secure walls. It was more like a country club than a free-migration mall like you find in the U.S., but it still strikes a ray of hope. As it turns out, many Central and South American countries are quietly marketing large plots of land to international capitalists and granting a great deal of legal autonomy to experiment with new forms of tax and regulatory treatment. The whole process is reversing the 20th-century trend toward ever more central planning to become the reverse: the devolution of juridical responsibilities to the only people who have proven effective, which is to say, the owners of the property. How about we take this one step further? The project FreeSociety.com is using the burgeoning market in cryptoassets to raise money to outright buy a large swath of a country, with the hope of setting up a little Hong Kong. Or maybe the first of many, if it works. Here again, it turns out there are many governments in the world that are deeply in debt, out of money to service that debt, and holding huge plots of land. They are glad to sell. It’s a lot easier than trying to squeeze more blood from the turnip by raising taxes. I was looking back at the dreams of intellectuals from the 1930s. So many people believed so hard in the glorious future of government to plan our lives, make us all healthy and wealthy, and manage the future wisely. They figured that so long as government had the power, the resources, and the smartest people, everything was possible, including utopia. Government would eventually own all land, build all houses, plan all associations. Sell it. Sell it all. But they made a few mistakes. Government does indeed have power. But it can only get resources by taking them from others. And it turns out that the intelligence necessary for the proper care and feeding of society does not live in bureaucracies. It is diffused within the lived experience of people with skin in the game and boots on the ground. That is to say, wisdom is inexorably linked with ownership. That realization, which is all but undeniable in our time, is changing the way we think about the proper size and scope of government. The trend toward selling off the state to private owners is accelerating, and there is no reason for it to stop. It’s a completely different kind of reform process. Rather than tweaking a regulation, manipulating a policy, rearranging some rules, why not go the full way? As they say on Wall Street when a stock is in freefall, sell it. Sell it all.